What started as a platonic friendship may turn into a lifetime of love for two injured beavers who met last summer at the Alberta Institute for Wildlife Conservation (AIWC), an animal rescue and rehabilitation center in Canada. 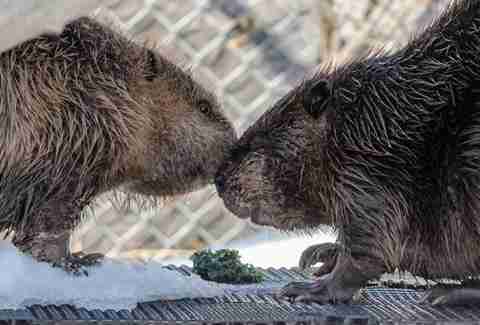 It’s a romance so improbable, not even the beavers’ caretakers predicted it. In June 2016, a female beaver kit was found by a passerby alone on a Calgary-area golf course with an injured tail. At somewhere between 4 and 6 weeks old, the baby should have been spending every waking moment with her parents in the safety of her family’s lodge. Under the care of the rehab facility, the baby beaver flourished. Her tail quickly healed, allowing her to focus on learning how to feed and clean herself in her outdoor enclosure, and to swim in her little pool. As a long-term patient, the social animal would have to remain at the rehab center until she turned 2 years old, the time beavers usually leave their parents and seek out their own territory. This meant years would pass before the beaver would finally come in contact with another of her kind. 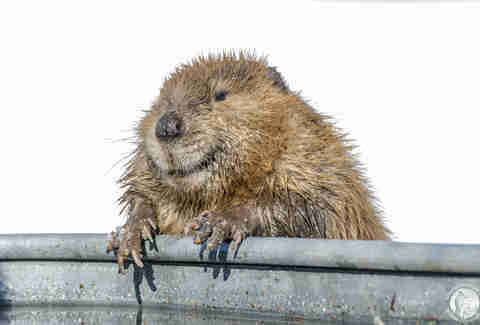 That all changed in June 2017, when a Good Samaritan passed a 2-year-old male beaver in a storm drain with a deep puncture wound to his lower back, most likely the result of a run-in with another animal. They brought him to AIWC, and after his wound healed he was moved into an outdoor enclosure that, coincidentally, shared a fence with the young female beaver’s territory. Through the chain links that separated the enclosures, an unlikely friendship began to form. The volunteers watched as the two beavers tentatively tried to touch paws through the wire fence that separated them. Standing upright on their hind legs, the beavers gripped the wires with their paws, attempting to get close enough to smell each other. Hoping that curiosity would turn into something more, the beavers were allowed to meet face-to-face for the first time during a series of supervised introductions. Staffers were at the ready to step in should their feelings change, but it proved unnecessary as the two hunted for leaves and twigs alongside each other. In August, the beavers moved into a shared enclosure, and their bond deepened further. They slept together during the day, and spent nearly all their time together at night. When caretakers would enter the enclosure, the older beaver would protect his younger mate. Once winter ended and the snow melted, it was time for the beavers to return to the wild — together. 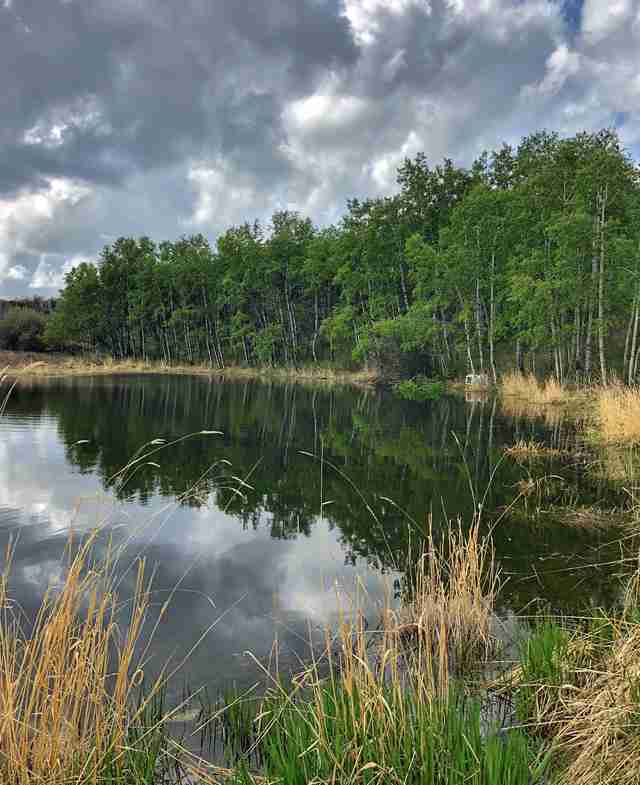 On May 18, the beavers were released into the Ann & Sandy Cross Conservation Area, a pristine stretch of land southwest of Calgary, far from hiking trails and human interference. 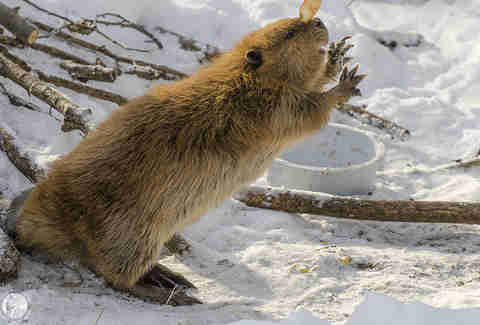 But even with the perfect place to start a new life, caretakers worried that the beavers’ relationship might not last outside the four walls of their enclosure. Once again, love conquered all. In the weeks since the healed beavers have been free, their bond has remained strong. 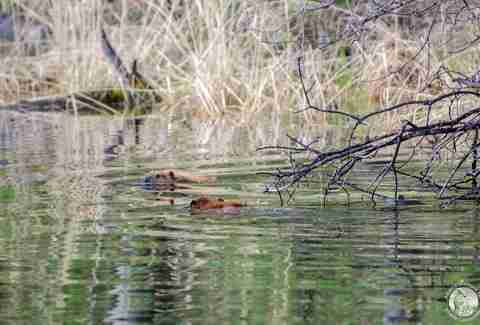 Far from the fenced-in pen where the beavers first met, the two are diligently working to build a life together. 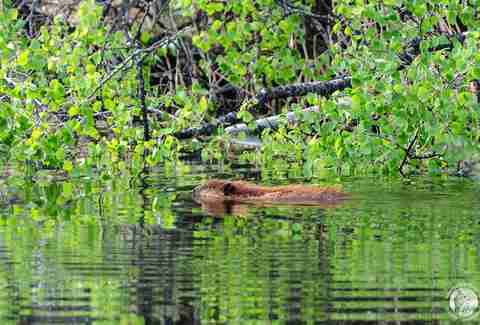 While the young female beaver has yet to reach maturity, rescuers expect to see kits in a year or two. 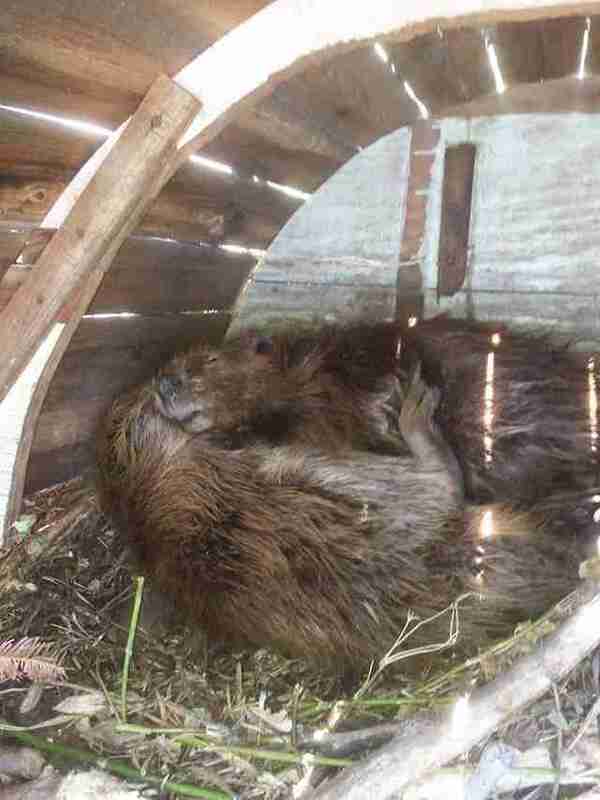 Once beavers settle on a mate, they make a commitment for life, and for these two, the journey has just begun. To help other injured animals get the care they need, you can make a donation to the Alberta Institute for Wildlife Conservation.